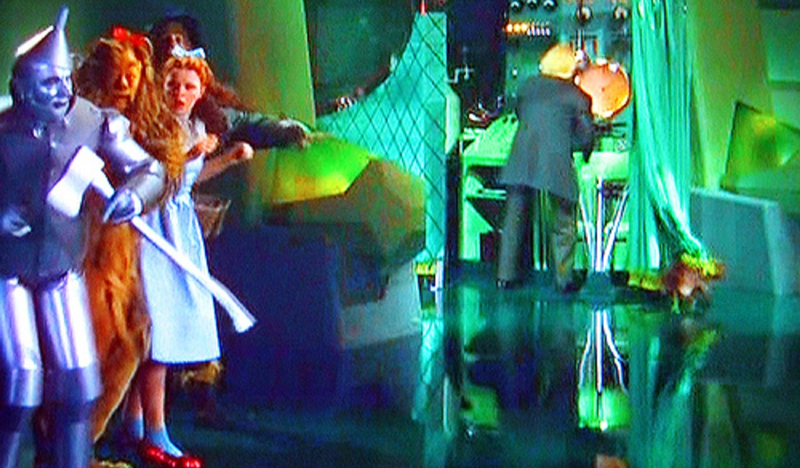 The PGR: A Whiff of Desperation? Sad day for philosophy. Brian Leiter has doubled down on his promotion of the Philosophical Gourmet Report (see photo below). 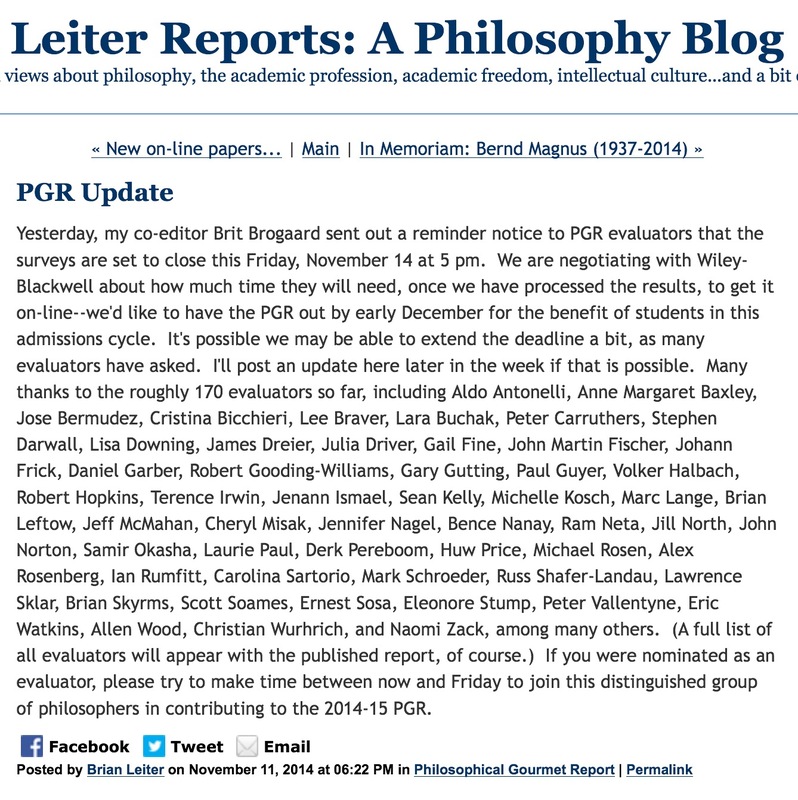 Under pressure over the merits of the PGR, and in light of some high-level defections from the ranks of well-regarded past evaluators, he has now published a list of names of people who have sent in their surveys, shiny tokens meant to lure–or coerce?—other philosophers into the PGR web. Did he clear it with these folks, our colleagues, that he would use their names in this fashion? I doubt it. But if he did, I would like to hear from them. I would like to hear that they agreed to this use of their names. Leiter claims that he currently has 170 participants with only a couple of days to go on the survey. Last year he reported that he had over three hundred participants. He told us that this year there would be 560 invitations, more than in 2011. The return rate, once again, is not good. Keep in mind that these people are hand-picked, those clearly expected to return his survey. Never mind the views of the approximately 13,000 other philosophers in the Anglophone world. So Leiter’s numbers are not good, and he’s doing what he always does, drumming up some reflected glory for the PGR using halos borrowed from individual philosophers. The Philosophical Gourmet Report is a Dead Man Walking. To see it propped up in this fashion is just pathetic. And it won’t work, because the word is out, the PGR is a bogus survey. Before long every dean and provost in the country who oversees a philosophy department with a graduate program will know it.